My sister Nathalie & I often joke about how our folks survive just on air, espresso & pastries. Are they cyborgs? Don’t they need real food? Well, as a new mother, I now realize I’ve been compensating for the lack of sleep by slowly upping my caffeine intake. It’s in my genes, after all. Thankfully, the FDA hasn’t deemed caffeine an illegal drug, otherwise I’d be in big trouble. A can of soda would do the trick. Hmmm, cola just won’t cut it. Really? Are you sure? I’d rather drink a gallon of petrol than guzzle that stuff. A teaspoon of instant coffee? Ok, now you’re getting desperate. Don’t be ridiculous! There’s just one thing I want. A word of caution about coffee: Just because it smells good doesn’t mean it’s going to taste good. Most coffee will leave your mouth feeling like you’d licked the bottom of a busy ashtray. 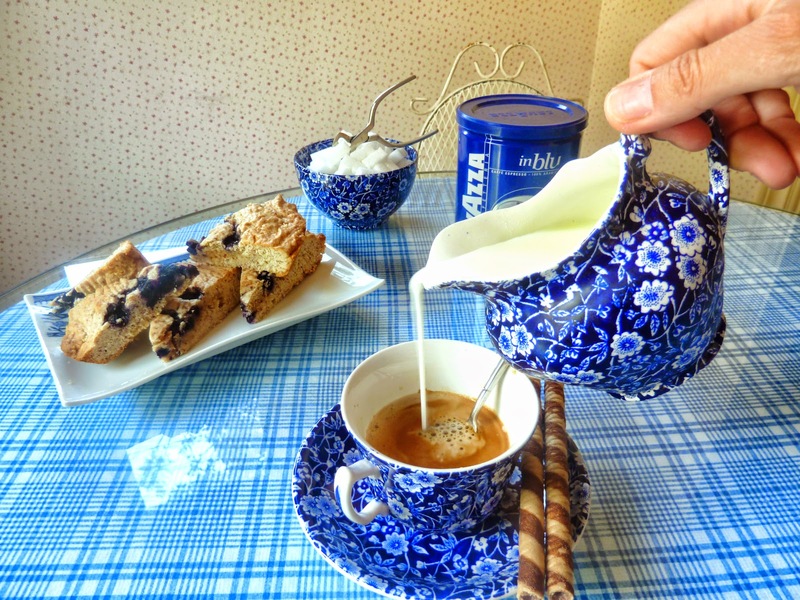 LavAzza will leave you breathless. Oro is the gold standard, the best of the best. But, I prefer its mild cousin, Blu. Go crazy, try them both. Tell me which you like better. Like all good things in life, this is only better if shared. 1 tsp vanilla – Don’t be cheap. Get the good stuff. *Recommended dosage: 1 serving PRN, not to exceed 2 servings in a 24-hour period. 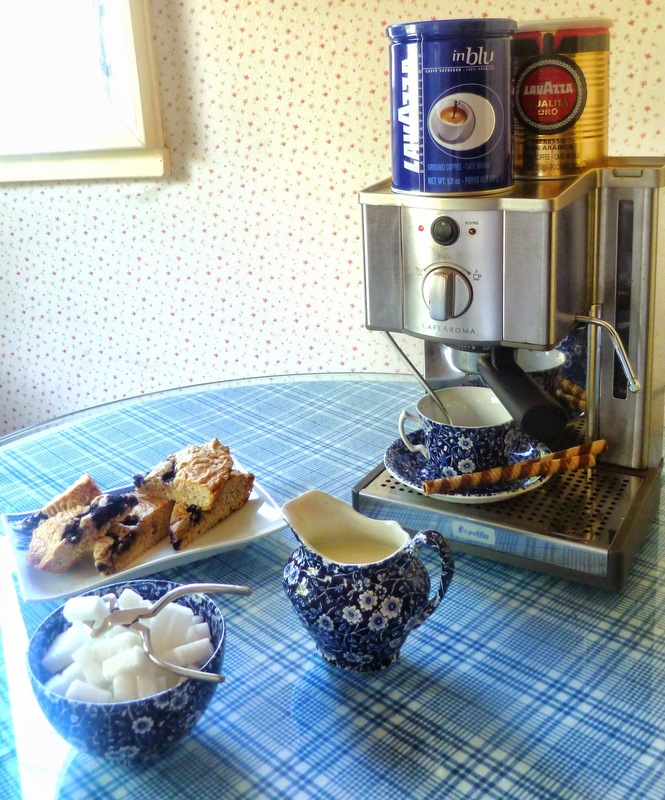 Pack the espresso nicely to get that froth on top. The Italians call this crema. It somehow makes the espresso taste better. And don’t forget that pastry. Try my berry almond tart. It’s a breeze to make and perfect with coffee. I know you work hard. You deserve a treat! The older I get, the more I appreciate espresso. 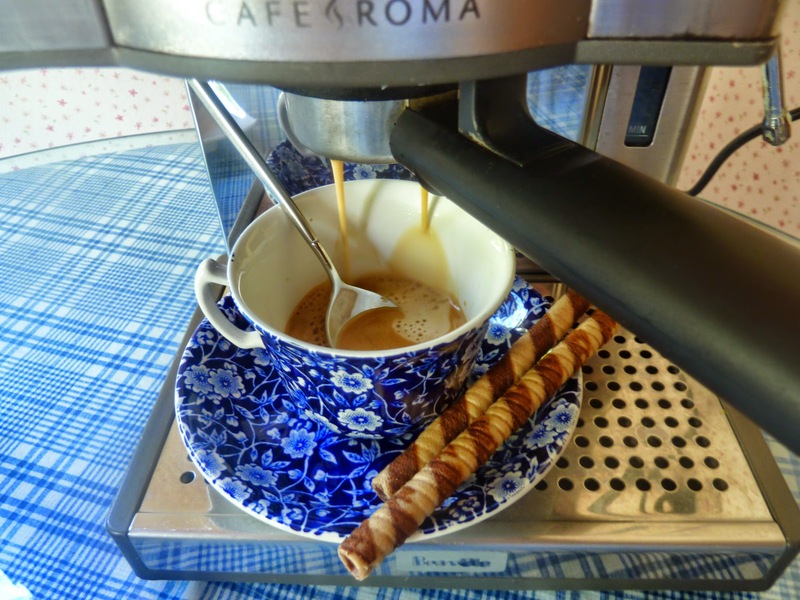 I really only have a cappuccino on weekends, but with a nice pastry, it's the best! Hi Colette-I clicked over to your blog from Foodbuzz. Love your blog… the photos are beautiful, and your posts are great! I'm a caffe latte drinker, drink a huge mug of Lavazza caffe latte. Can't start the day without it! I couldn't get on with my day without coffee. Even with my son getting older and starting to do his own thing,I still love doing my morning coffee ritual.